Kale is a cruciferous vegetable rich in many oxidation-fighting antioxidants and nourishing vitamins and minerals. Don’t let its lettuce-like appearance fool you: this vegetable is a lot more versatile than you make think. Sure, paired with your favorite raw vegetables, kale makes a delicious and detoxifying raw salad, but did you know that kale could be baked into low-calorie crispy chips that are practically guilt-free? You may find bagged kale chips in gourmet supermarkets and health food stores, but they’ll cost you up to $10 and up to 250 calories per bag. With those stats, a powerful whole food snack quickly loses its value. A bag of zesty nacho-flavored kale chips grabs attention, but how about its lengthy list of ingredients that raise the calories, fat and carbohydrates? What’s the solution? Skip the decadent packaged kale chips…pick up a fresh bunch of kale from the produce aisle instead and follow this quick and easy baked kale chips recipe. Kale maintains its wholesome reputation and you spend no more than $3. Everybody wins! 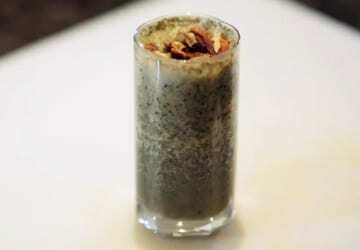 *This recipe provides up to 3 servings of kale chips, each containing less than 80 calories. 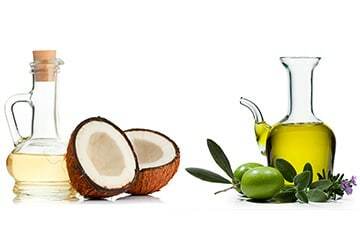 Quick tips: Try using an olive oil spray to cut the calories down even further. There are tons of different ways you can dress up your kale chips. For a fancy cashew crust, try soaking 1 cup of cashews in water for a few hours, then blending the cashews with 1/3 cup of water, 1 tsp of apple cider vinegar, and 1 tbsp of olive oil; coat the kale with the cashew dressing before baking. Feel free to experiment with different seasonings. Add some chili powder and splash of lime juice after baking. 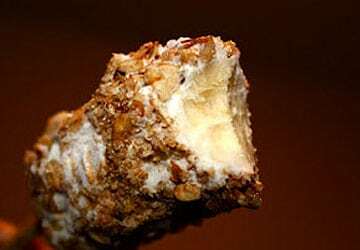 You can even add 1-2 tablespoons of nutritional yeast for a great nutty flavor. Interested in keeping it raw? 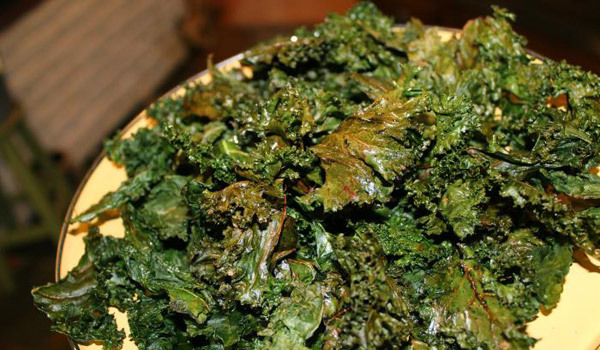 If your oven can be set on a low temperature of 100 ℉ then raw kale chips can be made in the oven. If not, the kale chips can be placed in a dehydrator for about 2 hours. 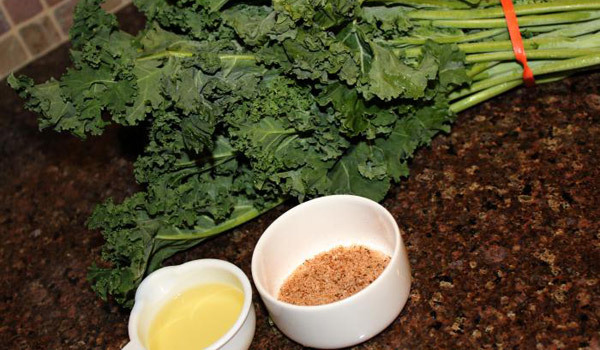 Carefully tear the kale leaves off of the firm stems and break them up into pieces as if you are making a salad. The pieces will shrink in the oven so don’t make them too small! Thoroughly wash the leaves and then pat the leaves dry. 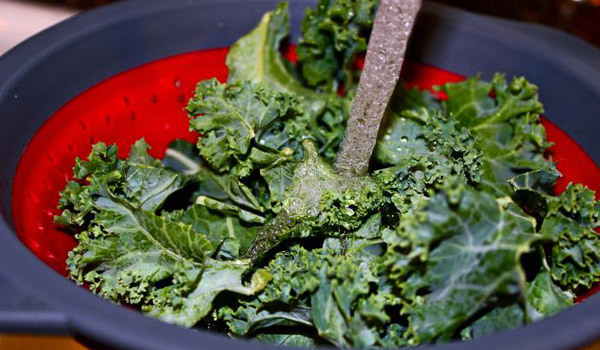 In a large bowl, sprinkle your kale leaves with the olive oil and the mixture of seasonings. If the seasoning is not pre-mixed, go ahead and create a mixture before adding them to the leaves. 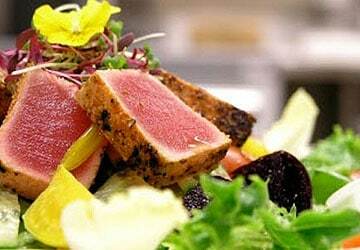 *Be careful not to over-salt: if salt is not included in your seasoning mix a generous pinch should be plenty. Toss the leaves gently to give them an even coat of the olive oil and seasonings. 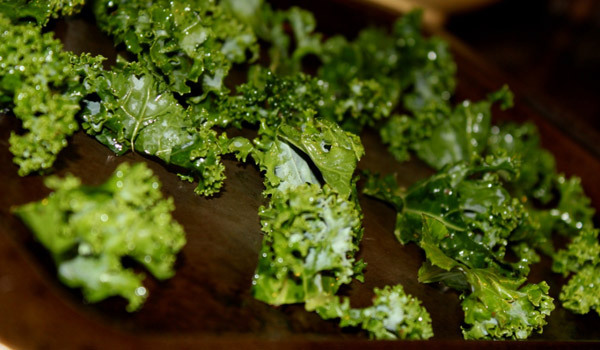 Spread the kale leaves out on a baking sheet in one layer. The leaves will quickly shrink in the oven so don’t worry if they are close together on the pan. The oil mixture on the leaves should prevent them from sticking so you shouldn’t have to use a non-stick spray. 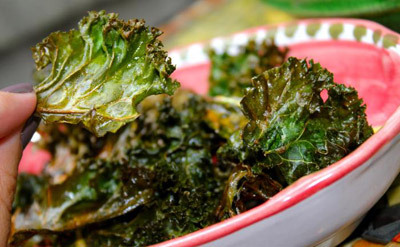 Bake the kale leaves in the oven for 10-15 minutes or until crisp and golden brown. 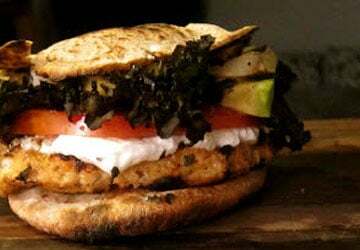 If you want to learn more about how to use kale and some interesting ways to work it into your diet, check out this Kale 101 article . 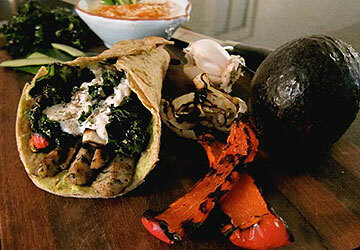 Hope you enjoy the recipe—if you try it out, let us know how you like it! Great interesting recipe, will definitely try this! Thanks. I love Kale. I like spinach too, but of all the leafy greens, it’s the “meatiest” i.e. just feels good when you eat it and doesn’t get soggy. I’ve recently got into eating steamed edamame (it’s a STEAL at Trader Joe’s) but I’m looking for other easy recipes like this. It looks really easy, so I’m going to try it out this week sometime. For a guy that works in IT, sitting in front of a computer all day, I’m always looking for something healthy I can munch on. Jessica, great recipe! I find it really frustrating when I go to the grocery store and see rather measly bags of kale chips going for upwards of $6 – $7. seems much healthier then potato chips! Unused portions….store in plastic or paper? The fridge or cupboard? We store ours in tupperware and on counter. I have a 3 year old son that loves them too. We call them Dinosaur Chips. @Glen M. “dinosaur chips”, I love that. I have 2 boys, a 5 year old and a 1.5 year old. I’m going to have to sell them on “dinosaur chips” too, lol. WOW! Just got around to making a batch. Much different and better than I expected! I made half the oil content of my batch sesame oil, just because I like it. Very good snack! My second batch I tried equal amounts of paprika, onion powder, garlic powder, and Chinese 5 spice. Nice variation!